The trick involves purchasing a Prime Gift card and using it on yourself, and should work as long as you buy it before May 11, when Prime's price increases. 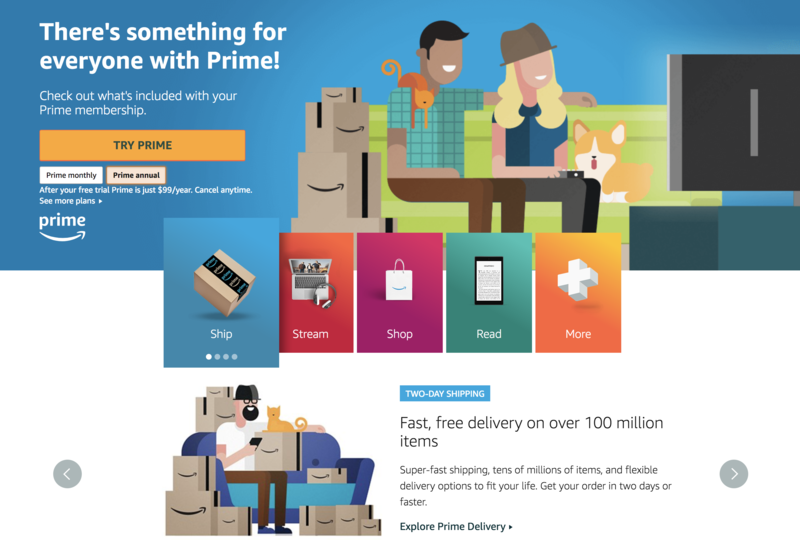 It's very straightforward and won't take more than a couple of minutes, though there are some caveats you may want to consider if you've had Prime since before August 2015, which we'll talk about in a bit. If you already subscribe to Prime, head to your Prime cancelation page and cancel your current Prime subscription by clicking on "End My Benefits." Don't worry, you'll still keep your membership until your current subscription expires. Treat yourself to the gift of Prime by purchasing a one-year voucher for $99. You can purchase as many as you like, and you can always exchange them for an Amazon Gift card if you change your mind. Apply each gift card as needed to renew your membership before it expires. A word of caution for subscribers who share their Prime benefits with family members and have had Prime since before August 2015: Amazon changed the way it handles its Amazon Household program in August 2015, restricting sharing between at most two adults and requiring that credit cards be shared among all accounts within the household. If you've had Prime continuously since before the policy change, you're still grandfathered into the old terms, but cancelling your subscription might cause you to lose those benefits. If that's something you'd rather not lose, you'll probably have to pay the increased price going forward. It's not the first time this trick got posted — back in 2014 when the yearly subscription rose to $99, websites also shared the loophole. The trick seemed to have worked at the time, though it isn't exactly clear how many times you're able to redeem a voucher for a Prime subscription. Presumably, you could stockpile a bunch of coupons and continue using them to renew your subscription for several years, but it's possible Amazon could eventually charge for the $20 price difference somewhere down the road. Either way, Prime Gift cards never expire and can always be exchanged for an Amazon Gift card of equal value, so there's no risk of you losing money.